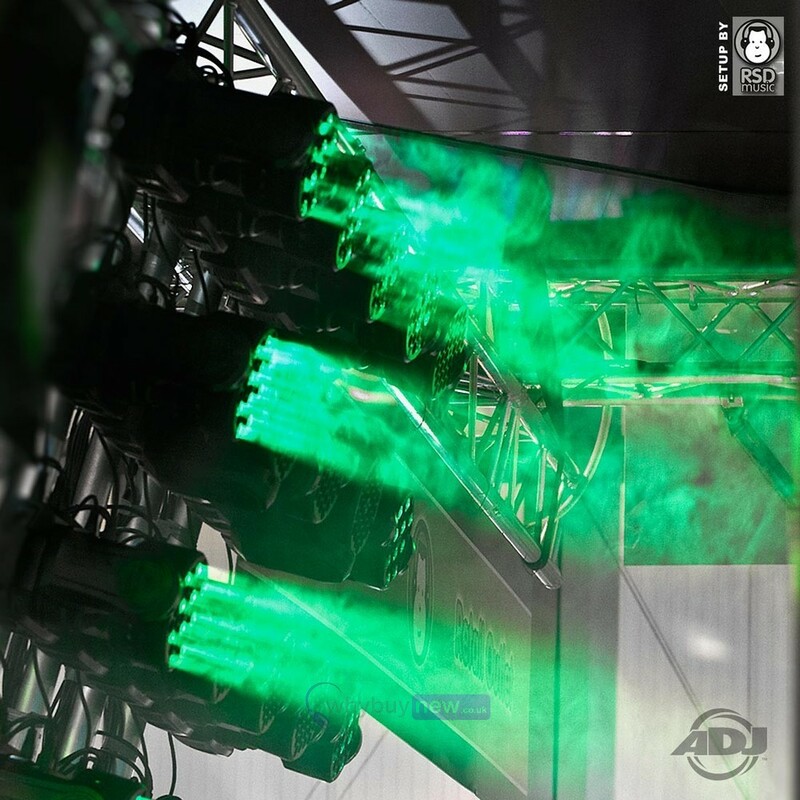 The American DJ Inno Colour Beam LED is a powerful LED moving head beam lighting effect that features 36x 3W LEDs. 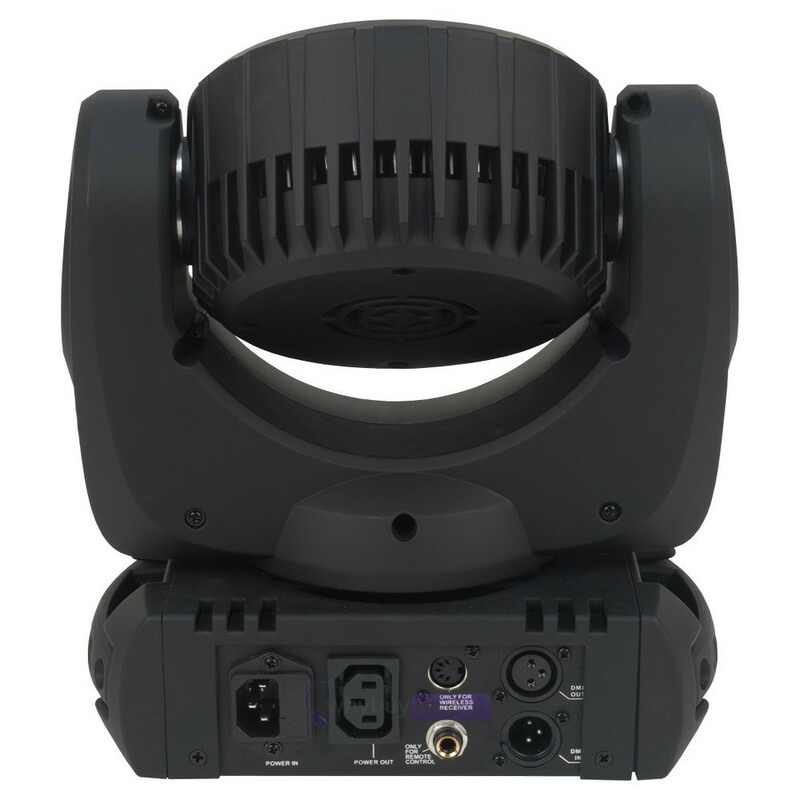 This moving head can be controlled via DMX but also has a sound active mode. Along with the beam effect it also can produce a strobe/pulse effect. American DJ Inno Colour Beam LED. 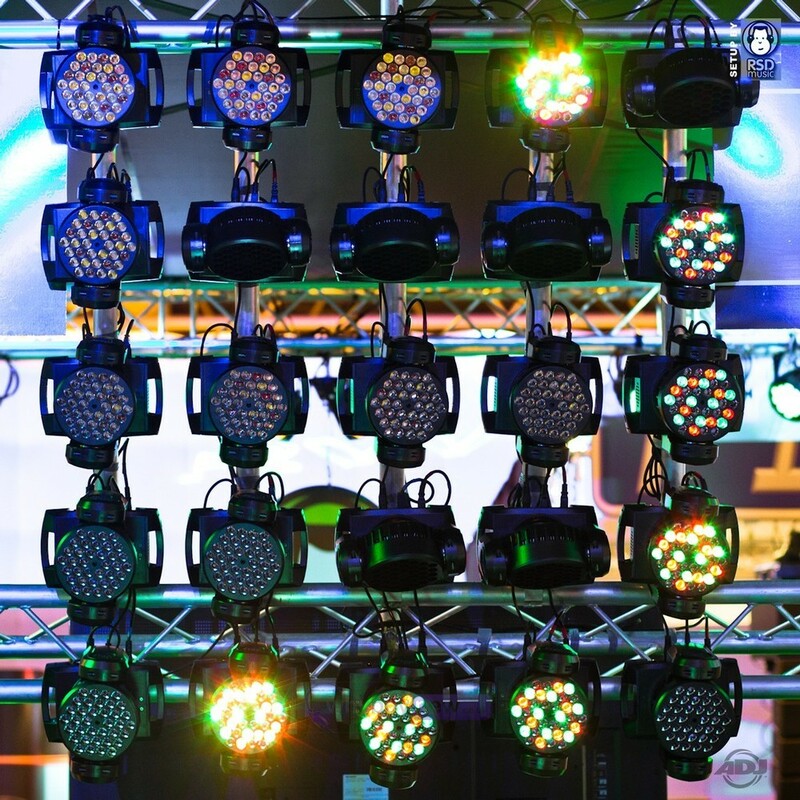 This fantastic new lighting effect from American DJ is a high performance 108 wtat moving head fixture that offers a hard edge beam effect sought after by lighting designers worldwide. 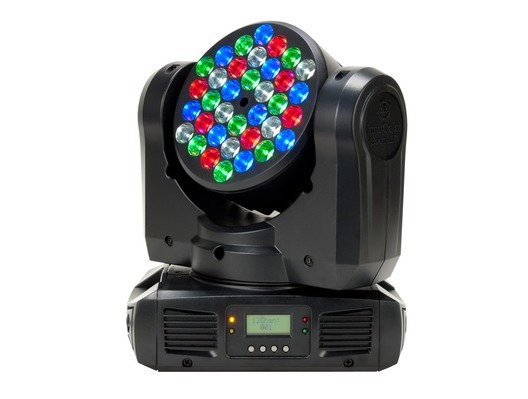 This fixture features 36x 3-Watt high quality CREE LEDs (8x Red, 10x Green, 10x Blue & 8x White). 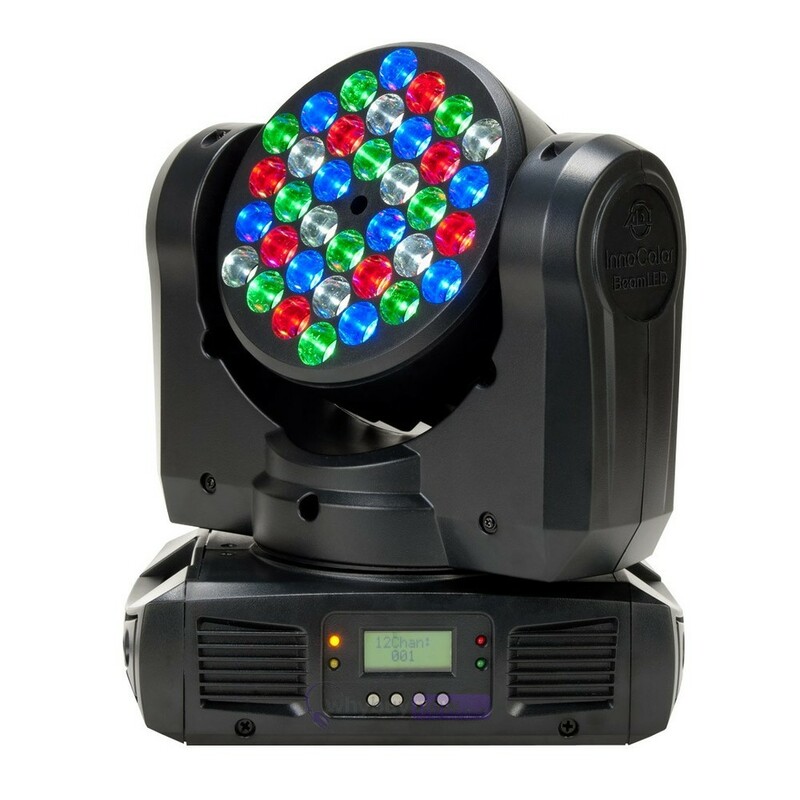 The INNO Colour Beam LED is extremely compact and lightweight, plus offers plenty of professional features such as 12 DMX channels for programming, 33 built in colour macros and a 4 button LED DMX menu. 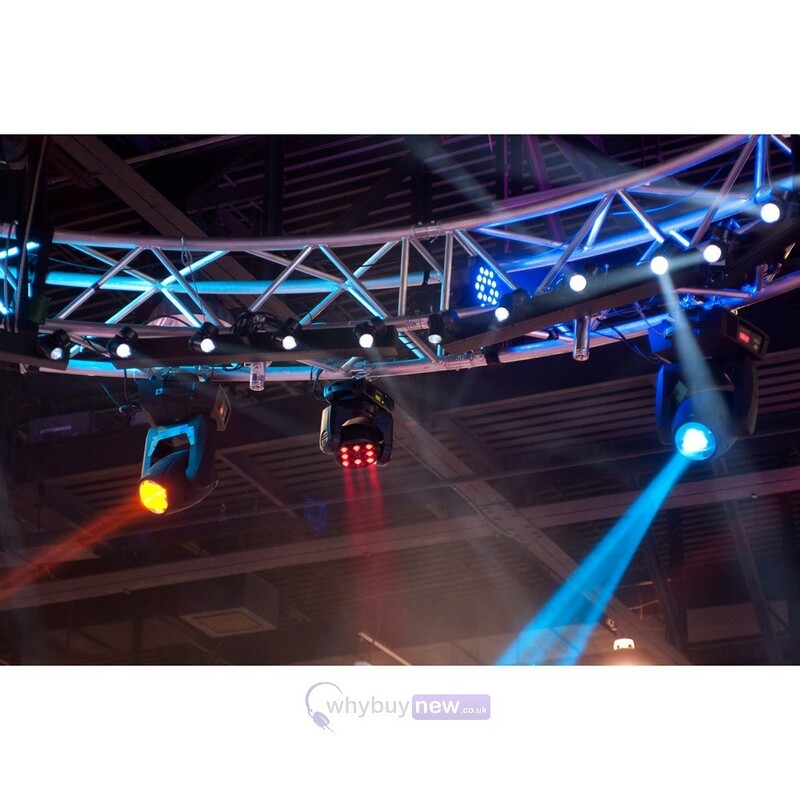 Beam LED is also great in sound active mode with plenty of exciting built-in programs creating instant light shows. Plus, non-DMX users can use the easy-to-use UC3 Controller to operate this fixture. 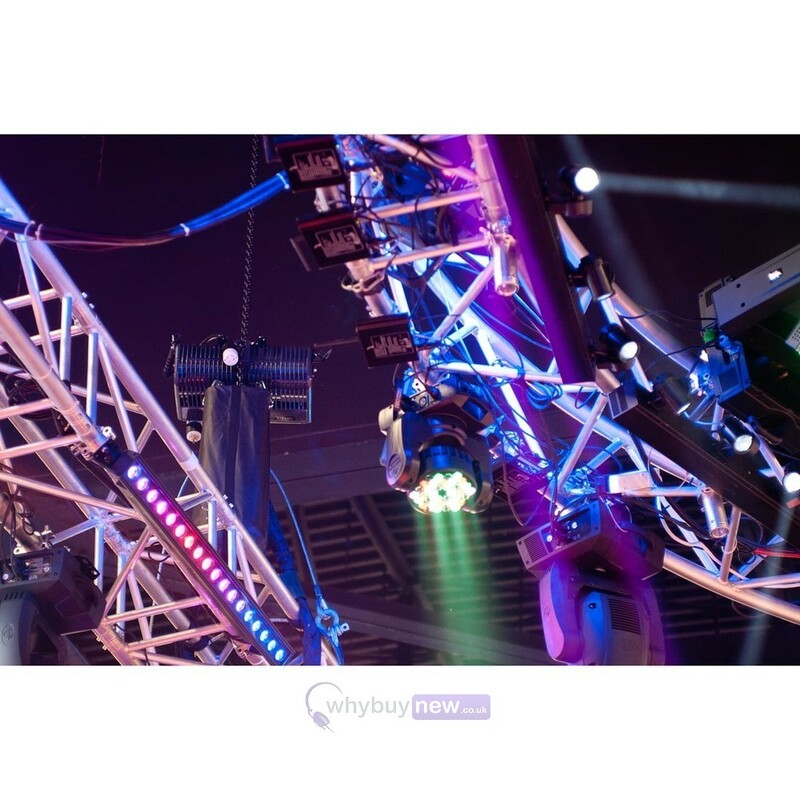 Ideal for mobile discos, club/bar installation and live events.